The federal flag darkens schools because Francis Bellamy, author of the pledge of allegiance, wanted government to take over all schools and to eliminate all of the better alternatives. 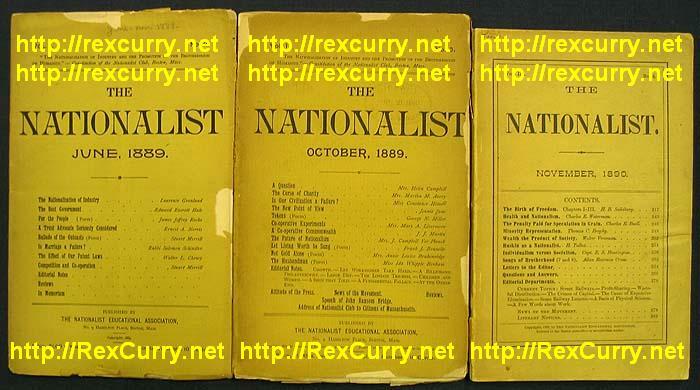 Bellamy was a self-proclaimed national socialist in the USA, with the "Nationalist" magazine, and he preached what he called "military socialism." Bellamy wanted the government to take over everything, not just schools. School flags are a symbol of nationalization, militarism, and socialism. The pledge of allegiance began with a military salute for the phrase "I pledge allegiance" and then the arm was extended outward toward the flag. The pledge was the origin of the salute of the National Socialist German Workers' Party (Nazis). The philosophy that inspired the pledge's author also inspired the Nazis. As under Nazism, Jehovah's Witnesses and others in the USA were persecuted for refusing to perform the straight-arm salute and robotically chant the pledge. They were also expelled from government schools and had to use the many better alternatives. When Jesse Owens competed in the 1936 Olympics in Germany, his neighbors attended segregated government schools where they saluted the flag with the Nazi salute. The U.S. practice of official racism and segregation even outlasted the horrid party, into the 1960's and beyond. The federal government has no place in education and it is tyrannical. Federal flags are at schools to prevent liberty.